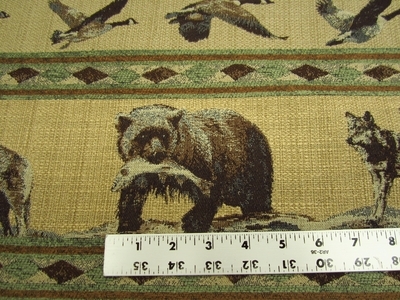 Cabin Fever bear, wolf chenille mix upholstery fabric from Culp. 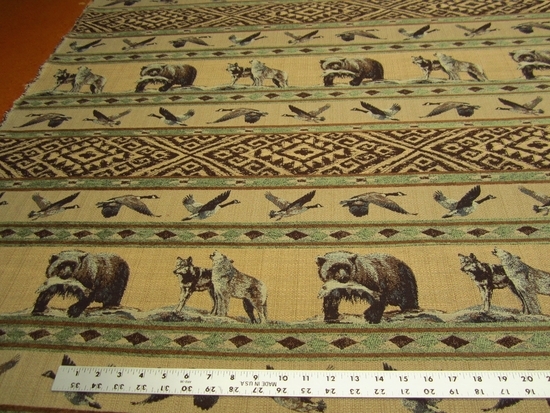 Features bears, wolves, geese. This is heavy duty fabric. The moss green is chenille.